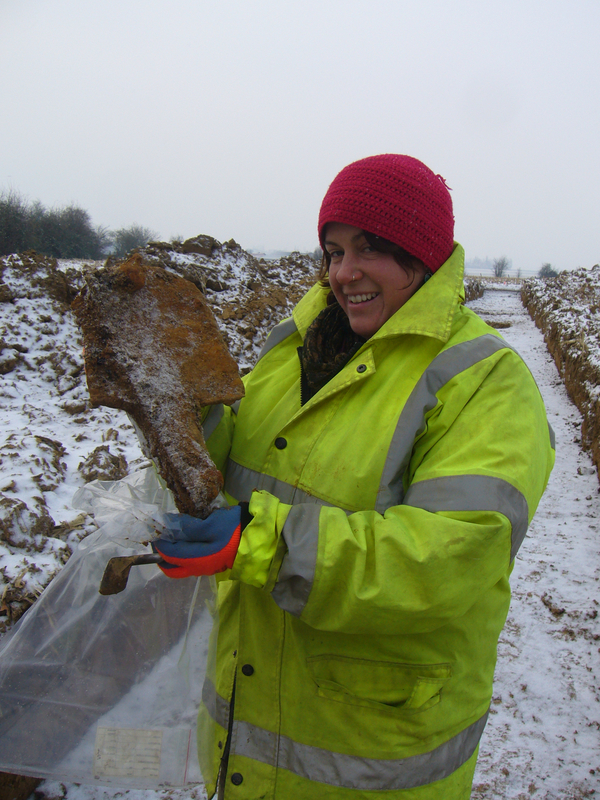 After working in commercial archaeology for 10 years Emily returned to education in 2007 to pursue an MA in Historical Archaeology at Bristol University. Since 2001 she also been involved on research excavations in southern Albania, at the World Heritage Site of Butrint. Through spending a large amount of time out there digging up the Hellenes and the Romans, Emily became interested in the more recent past of a country which was so different to the Britain that she grew up in. Emily used this interest to focus her MA dissertation on the Cold War mushroom-shaped bunkers which continue to litter the landscape of Albania and examine their socialist and post-socialist materialities. She has recently expanded the scope of this research for the purposes of her PhD at Bristol to include other sites of Albania’s heavily defended southern border and will focus on the reuse and reinterpretation of these tangible elements of Socialism. In addition to this research she has worked on conflict-related archaeological excavations in Belgium and Slovenia. After a career in historic building restoration, David came to academia later in life. This started with an Open University BA Honours Degree in History with Humanities. Followed by an Archaeology MA at the University of Bristol with a specific MCA pathway under the tutelage of Prof. Nick Saunders. Aviation is the common thread running through David’s interests including going to eastern Germany to research memorialisation of RAF Second World War POW internees. Other MCA projects include researching the input of his own paternal family in the armed forces during and immediately after the Second World War, and helping transcribe a collection of private letters dating from the Crimea War. Archaeology generally now plays a big part in his life, including research into more local sites ranging from the Bronze Age to Proto Industrial. John has a long association with Bristol University. Initially taking Continuing Education courses he went on to complete an MA in Landscape Archaeology. After a period of working in commercial archaeology he began research into the conflict landscapes of southern Jordan the early 20th century and then successfully completed his PhD in 2015. John organised the first MCA conference at Bristol University 10 years ago when he was a postgraduate student. He is a Modern Conflict Archaeologist and works on projects in the Middle East, Italy and the UK spanning the First and Second World Wars and 21st century conflict. He is a Research Associate at the University of Oxford and works for the Endangered Archaeology of the Middle East and North Africa project (EAMENA) using satellite imagery to identify and monitor archaeology of all periods.